Dress like the guys from The Big Bang Theory! 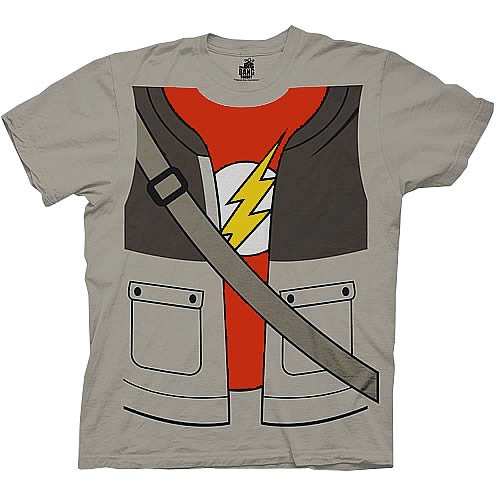 Pull off some Sheldon Cooper swag. Dress like the guys from The Big Bang Theory!! With this awesome Big Bang Theory Sheldon Trompe Loeil Tan T-Shirt, you can totally pull off some of that Sheldon Cooper swag. The excellent design on this sweet tan tee features a tan and brown jacket over red Flash t-shirt.